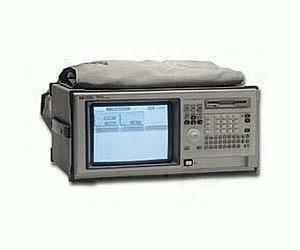 The Agilent 1663EP adds an integrated pattern generator to the Agilent 1660E product. The pattern generator capability in the EP models allows designers to functionally test their digital design with a 32 channel, 100 M vector/sec, 256 K vector deep stimulus program. You can stimulate the device under test and see how it responds to specific signals or clock speeds. You can also use the pattern generator to substitute for missing sub-systems. Stimulus speeds of 200 M vectors/sec are possible on up to 16 channels. Program macros, repeat loops, initialization sequences and wait commands allow complex stimulus programs to be generated. The compact, all-in-one design saves space on a crowded lab bench.